Bundoora, March 27: Latrobe University politics professor Robert Manne has called on students and uncommitted adults to join the Australian Youth Climate Coalition and/or Greenpeace. Why is Manne seeking to swell the membership of the AYCC and Greenpeace? Because, he said, those groups are leading the struggle against coal mining in Australia, and crusading against the “grotesque coal mining expansion” presently taking place. It may have escaped Manne’s attention that our coal exports are worth $45b a year and maybe another $10b in home consumption. “A decision to prevent further expansion of the coal industry and to wind back present coal mines would have enormous global significance, practically and symbolically,” he told his audience. Manne, twice voted Australia’s leading public intellectual, said that if human beings don’t leave most of the world’s coal in the ground, civilization will be destroyed. Australia’s struggle to overcome dangerous climate change is diminished by our support of coal, which supplies 30% of Australian energy needs, he added. He is perplexed by Australian governments’ apathy about warming, compared to its vigorous response to the global financial crisis, but he did hve an explanation. “This reflects the temporary weakness of the revolutionary anti-capitalist Left, which has been greatly wounded by the mistake it made associating the Soviet Union and communism with human liberation – a mistake from which it hasn’t yet emerged, as the Murdoch newspapers remind us every other day,” he said. Today, according to Manne, the Left has a new challenge, which is the need to struggle against the injustice of one generation – ours – being perpetrated on generations of humans and other species not yet born. “This is the most important struggle human beings have ever faced. What is now at stake is the future of human beings and all life forms, the future of civilization,” Manne said, not being a man for understatement. He compares the anti-warming struggle to that of the struggle against slavery, racism and sexual oppression, which all seemed hopeless at times but won through. Conceding that climate summits of late have been unproductive, Manne said he is pinning his hopes on dramatic, unanticipated and altruistic action being taken by an individual nation. This would be noticed by other nations and thus create what he called a "benign domino effect" on climate. “The situation of particular nations would determine in each case what the most pressing and symbolically significant action ought to be — let’s think about Australia’s potential role,” he said. Professor Karoly was billed as presenting the science, while Manne presented the politics. Karoly did not grasp any such distinction, however, hammering away for his favored political solutions to his perceived climate problems, which include toasty temperature rises of up to 7C by 2100. “No party, except perhaps the Greens, has emission targets that go anywhere near addressing the severity of anthropogenic climate change,” he said. 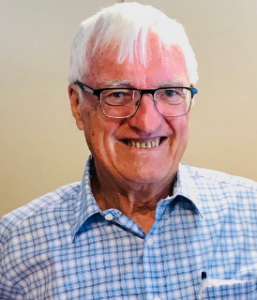 He scoffed at the “ageing English Viscount” Christopher Monckton, who spoke to an audience of Melbourne sceptics the previous night, and Karoly sneered at columnist Andrew Bolt at least six – possibly ten – times. While sarcastically calling Bolt a “well known climate expert” he forgot that his co-authority, Manne, similarly lacks climate qualifications. Karoly also quoted approvingly such climate experts as Barack Obama, Ban Ki-Moon and Kevin Rudd. He warned that rising sea levels would swamp both Brisbane and Sydney airports by 2100, along with 10% of the world’s population, which well they may be if IPCC modeling is trustworthy. Karoly relied on the Climate Commission’s lacklustre authority on various scientific points, which is understandable since Karoly himself is a science adviser to that same Commission. “I would like to draw your attention to three facts, two of which are not in dispute at all. “The first is that the CO2 levels are galloping faster than the most pessimistic predictions. The second is that there has been a 17 year pause in global warming, as acknowledged by Rajendra Pachauri of the IPCC, and that the British Bureau of Meteorolgy models are predicting that this pause will continue until the year 2017 — that’s a 20 year pause. And thirdly there is a leaked graph from the Fifth IPCC report due out in September showing actual temperatures tracking below the lowest predictions of the previous IPCC reports. “Thank you for your opinion. The things you quoted are not facts but are in fact misrepresentations. Go to the UK Met Office website, they first of all show data sets for which there has been no pause in global warming. Temperatures continue to rise. The trends in global temperatures over the past 17 years are positive, they are not zero. “The Met Office forecast is for average temperatures not for individual years. Newspaper reports and blogsite reports are inappropriately comparing one-year temperatures to forecasts of an average temperature. “You look at the extremes, they show a 3/10 degree warming over that 20 year period, which the Met Office forecast, and is entirely consistent with the typical rate of warming over the 20 years of about 0.15deg per decade. So that forecast shows warming continuing unabated. [i] The Australian, February 22, quoted IPCC chair Dr Pachauri confirming a 17 year pause in global temperatures.